Add a reminder to your personal calendar! Understanding the evolution of prosocial behaviors – cooperation and unilateral flows of resources – remains an important interdisciplinary scientific problem. On the one hand, prosocial behaviors are an evolutionary paradox since they entail decreasing one’s own fitness to benefit another. On the other, understanding the mechanisms that promote prosocial behaviors enable their prediction, making this a key scientific problem as well. Some of the key mechanisms that have been identified to promote prosocial behavior are inherently network or relational phenomena. Direct reciprocity arises in dyads, and both generalized and indirect reciprocity arise in broader network structures. However, these processes are typically studied in isolation, and the role of broader network topology is not understood. Here, we use an agent-based model to investigate how social networks shape altruistic acts. The behavior of the agents is driven by results from a web-based experiment, and the networks that define their relations are derived from generative models of the ten largest friendship networks in the National Longitudinal Study of Adolescent to Adult Health. We find that properties of real-world networks are indeed related to rates of altruism. In particular, homophily and transitivity increase types of reciprocity, which, in turn, increase altruism. That is, we demonstrate that the formal properties of human social relations promote altruism. 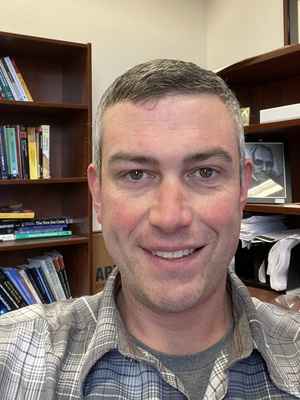 Bio: David Melamed is an Associate Professor of Sociology and an Affiliate of the Translational Data Analytics Institute at Ohio State University. He received his Ph.D. in Sociology from the University of Arizona in 2012. His recent research focuses on how social networks shape prosocial behaviors and on how social status shapes inequality in small groups. He was nominated for the Presidential Early Career Award for Scientists and Engineers (PECASE) by the Army Research Office in 2015 (still pending).